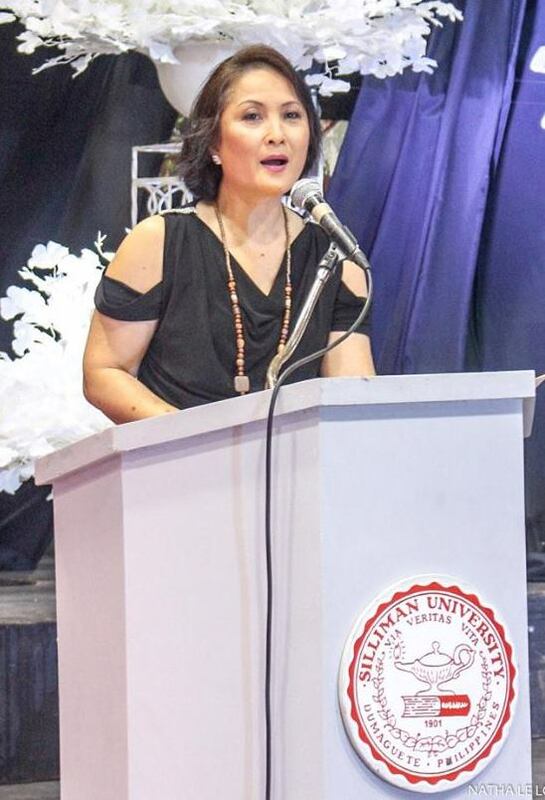 Dean of Students Dr. Edna Gladys T. Calingacion has been elected as a Member of the Board of the University Mobility in Asia and the Pacific (UMAP) in the Philippines, on April 5 during a conference held in Clark Pampanga. UMAP is an association of government and non-government representatives in higher education geared towards enhanced cultural, social and economic understanding among universities in Asia and the Pacific. It also targets stronger collaboration and better mobility among students and university faculty within the region. Dr. Calingacion will sit in the Board for the Philippines for two years, effective 2018. UMAP works closely with the Commission on Higher Education (CHED) on its student internationalization programs. Her election took place during the conference co-hosted by CHED and UMAP on April 4 to 5 in Clark. Together with Dr. Calingacion from Silliman in the conference was Mrs. Rhodora T. Sagun, Head of the Scholarships and Aid Division. The conference on “UMAP as a Platform for Academic Mobility: Campus-Based Internationalization” provided a multidisciplinary forum to discuss the key movers of academic mobility. It featured a series of talks that encouraged participants to look beyond the standard full-program or semester-based study abroad mobility and focus on the benefits of internationalization “at home”. Dr. Calingacion is concurrently Member of the Board of the Philippine Association of Administrators of Student Affairs, Inc., a professional organization of student affairs administrators and practitioners committed to the formation of Filipino educators through the conduct of effective and relevant programs and services addressing student issues and student affairs development.